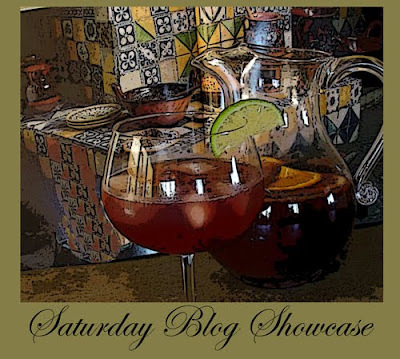 Please join Lori (All That Splatters) and myself and participate in the Saturday Blog Showcase where we share recipes that we have found on a fellow blogger's site. A great way to try a new recipe and to meet other bloggers. I'm sharing two recipes on this week's Saturday Blog Showcase. The first one I found on Kalofagas - Greek Food and Beyond by Peter Minakis. This is a wonderful blog with lots of great recipes and photos. As of February 2009 Peter has a new blog address. I can't wait to try some of Peter's Greek recipes, but, tonight I made one of his Italian dishes. I had it cooked before leaving for work this morning. I've never been a real fan of chicken cacciatora but this particular version with the addition of Italian sausage and seasoned with fresh rosemary really appealed to me. And it didn't disappoint. I'm use to having chicken cacciatora served with a side of pasta, but I took Peter's suggestion and served it with roasted potatoes and I added some zucchini sauted in olive oil with garlic. The second recipe I would like to share is for the Flan I made for dessert on Wednesday night. The recipe can be found on Cooking with Peachy. This was the perfect ending to our Greek dinner. 1.Make a recipe from a fellow blogger's website and share the recipe on your blog with a link back to the blog where you found the recipe. 2.Add the Saturday Blog Showcase logo to your post. That chicken looks delicious Ann. Thanks for giving it a try! I am always impressed by the output on your blog, with such clear and detailed directions. The photos capture the wonderful food you prepare. Thanks for the entertainment and education. Ann, that final photo of the flan positively GLOWS!! What a great picture! Both recipes look & sound delicious & both blogs are new to me as well. Thanks for featuring them & for hosting the showcase this week. I am always impressed with the output of your blog too Ann..Stead.. special..informative..and gorgeous food. Both look delicious. 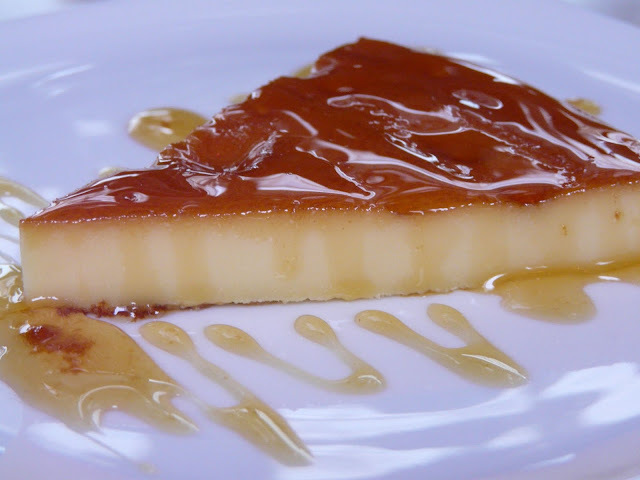 I love flan and haven't made it in ages. 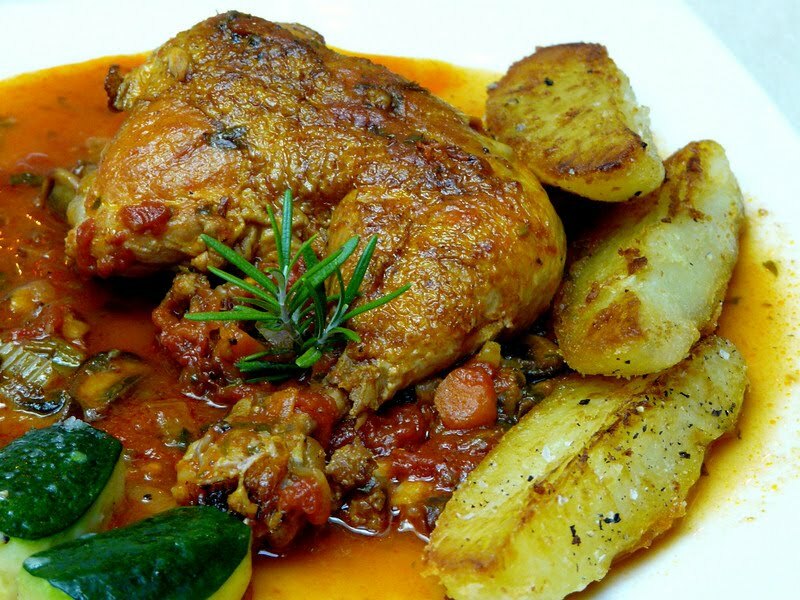 The chicken cacciatore looks wonderful. I haven't made a cacciatore in a long time and I think this is a recipe I would really like. 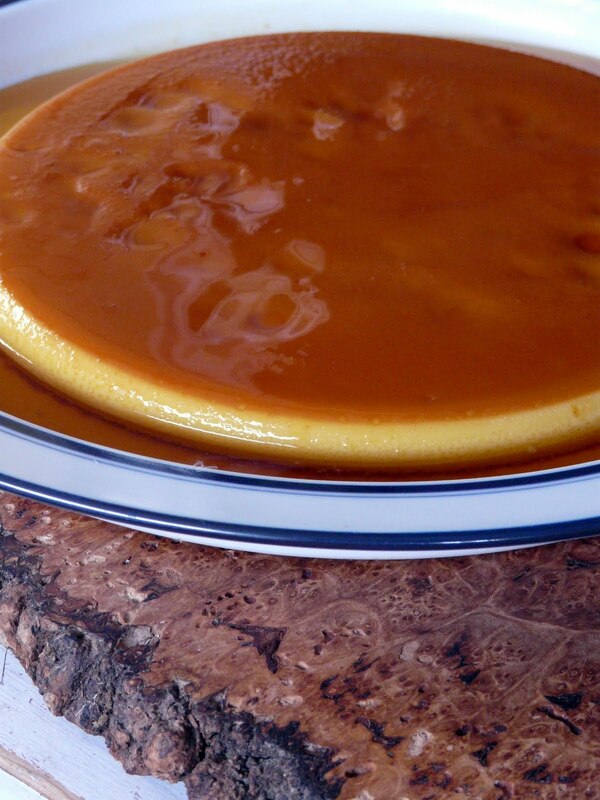 The flan looks wonderful, too! Thanks for posting and enjoying this dish. I haven't had chicken cacciatore in a long time and I'm overdue! I am in-love with potatoes, made any imaginable way. I kept looking at those spuds, with the chicken, and it has triggered a craving! The Flan is no exception to drool points. Two terrific recipes! Thanks.